Elephant and Castle cleaners are trained and experienced and we will make sure that your carpet is cleaned thoroughly without altering its colour or texture during the treatment.When it comes to carpet cleaning Elephant and Castle, no company surpasses our rug cleaning service in SE1. Not only that, our rug cleaners also offer a number of other services such as carpet repair, deodorization, dehumidification, stain protection etc. that make us the one-stop solution for all your cleaning needs. For all your carpet cleaning needs, give us a call and let us transform your old carpets to brand new! When it comes to cleaning your upholstered furniture, you have to be very careful about the kind of products used on your fabric. This is why our Elephant and Castle upholstery cleaning service uses safe and eco-friendly cleaning products to give you the ultimate upholstery clean. Our sofa cleaners are trained in handling all kinds of materials and will remove the most stubborn stains and smells from your couch. We use techniques such as hot water extraction and steam cleaning that leave your upholstery feeling fresh and clean without any chemical damage. So give our upholstery cleaners within the SE1 area a call and revive your old sofa! When you are moving houses, there is so much you need to take care of. So let our Elephant and Castle end of tenancy cleaning service take care of your move-out cleaning for you. With our comprehensive range of cleaning services and friendly staff, we assure you that your post-tenancy cleaning will be done according to the highest standards set by landlords and estate agents. Our end of tenancy cleaners are very efficient and will surely finish their work within your moving deadline. So call us for your end of lease cleaning around the SE11 area and allow us to help you get a stress free move. 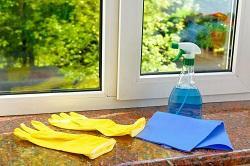 Whether you live alone or with a family and pets, your house is bound to get dirty. Our Elephant and Castle house cleaning service across ensures that all the surfaces and fabrics in your house are cleaned deeply, so that you can enjoy a safe and healthy home. Our professional Elephant and Castle cleaners are very efficient and will finish cleaning your house in half the time that you will take. Moreover, they use child- and eco–friendly cleaning products; which means that getting your home clean became much safe and sustainable. So for all home cleaning needs in SE1, give us a call and you can even book us on the same day! Even if you clean your house regularly, there are still some problem areas that cannot be addressed without professional SE1 house cleaning services. Our home cleaning service in Elephant and Castle is just the thing you need to make your house shine and sparkle. With the help of high-end cleaning products and equipments, our home cleaners do a fast and efficient job of sanitizing and de-staining all your surfaces and ensure that your living space is suitable for you and your family. So the next time you want to get your home clean, give our domestic cleaning service around SE1 a call and let them do it for you. Having a clean office is shown to increase your work productivity, so call in our Elephant and Castle office cleaning services today and let them give your office space a thorough clean. Our commercial cleaning company within the SE1 territory has handled a number of industrial cleaning contracts and so no job is too big or small for us! We use the latest cleaning technology to give you a thorough, safe and sustainable office clean. Our Elephant and Castle cleaners are well trained and conduct themselves professionally within your working environment, thus ensuring that our cleaning activities do not disturb your everyday business. If you want to get the best Elephant and Castle cleaners in SE1 area straight to your door, call 020 3743 9521 now! You will be gladly amazed with our immediate and professional assistance. I have been so impressed with the service I got from ElephantandCastle-Cleaners. From the moment I called up to enquire about carpet cleaning for my home the team have been nothing but friendly, helpful and professional. They too time to answer all of my questions, gave me a free quote (which was so cheap I'm still not sure it's right), and helped me decide on the right cleaning package for me. All in all it's been a superb experience. My windows have never looked so clean thanks to Cleaning Services Elephant and Castle's amazing and affordable window cleaning service. I can't reach many of my windows anymore and with my chronic back ache it's even more challenging. That's why I hired professional help. I didn't want to cause myself an injury. This company was so understanding and did everything they could to help me. I couldn't have been more impressed with their work. They truly are one of a kind and the best around. Cleaning Services Elephant and Castle are reliable office cleaners. They go the extra mile to ensure that my office is clean day after day. They vacuum the runners on the stairs and the office carpets so efficiently, the carpets look spotless and clean all the time. I don't have to give them any instructions or check on what they do. They work had to ensure our work environment is clean and dust free. Thank you, team, for taking care of us and our office! I wanted the upholstery in my home cleaned. I worked long hours and did actually do my housework but had noticed some dirty stains on the sofas. I opted to have the upholstery cleaned by the experts to revive its looks. Cleaners Elephant and Castle were brilliant and made a lovely job of the upholstery, it smelled fresh and looked so clean. It has saved me from buying new furniture as they did such a good job for the price. Company name: Elephant and Castle Cleaners Ltd. 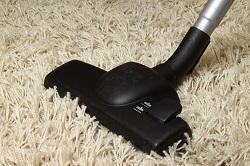 Description: Calling on 020 3743 9521 you will find the best team of cleaners in Elephant and Castle, SE1. We guarantee great cleaning results overnight at great prices.